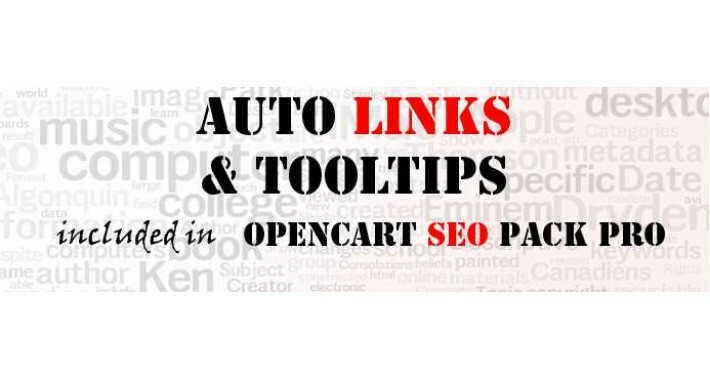 This add-on automatically creates links for predefined words or text in product's description. In admin area in Catalog -> Auto Links can be managed anchor words/text and links. You can add unlimited anchor words. You can set the target and you can add tool-tips. SEO report is included for FREE. Clear SEO is included for FREE. VQMOD required. No files or data will be overridden.